Warm welcome to Nicolas and to his first publication at Julia’s Fairies! First of all, I would like to thank Julia for having accepted to introduce fairy proof games in her excellent website! It is an honor for me to present the first composition under this genre here. The “condition” was, for the convenience of the reader, to show something attractive with a detailed solution. Indeed fairy proof games are somewhere between fairy and retro-analysis, hence “pure” fairy composers/solvers might feel troubling by such strange animals… So let’s go! I assume that the reader knows the quite famous Take&Make condition, as well as Parry Series. Roughly speaking the challenge is to rich the diagram position from the initial game array after 14 white T&M moves, black playing only (with T&M moves too) to undo checks. After a short inspection, we can see two mysterious events: how the black pawn d5 came to this square and how the column-a pawn was captured. Concerning the second question, it is very difficult to capture the a-pawn because black must capture it and undo a check at the same time. 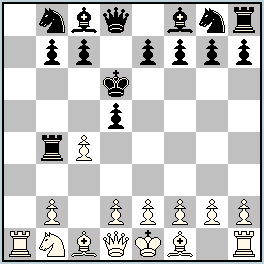 So, even if it looks curious, we have to find a way where this white a-pawn has in fact never been captured! The right candidate to be captured is the Queen, so the second part of the strategy becomes clear: Qa4+, Rxa4->b4, Pa2 promotes in Queen and go back to d1. Note that it is not C+ (a bit too long for Popeye) this has been only checked until move 9 and from move 6 to the end, so readers can try to cook it! This proof game shows two “impostor” pieces, the Pd5 and the Qd1. This later is called a Pronkin promotion. Retro composers like such stuffs as they are paradoxical and hence interesting to construct and, I hope, to solve… (Author). Thanks for this comment Paul, hope we will soon see one of your own fairy PG here! Very, very nice! Congratulations to N. Dupont.